User Events are actions tracked on Users. They occur exactly once per action. User Events cannot be replayed. User Events are captured via Connectors, Hull Track calls, and bulk import. Connectors capture events and send them to Hull. For example, Email opened from Mailchimp. 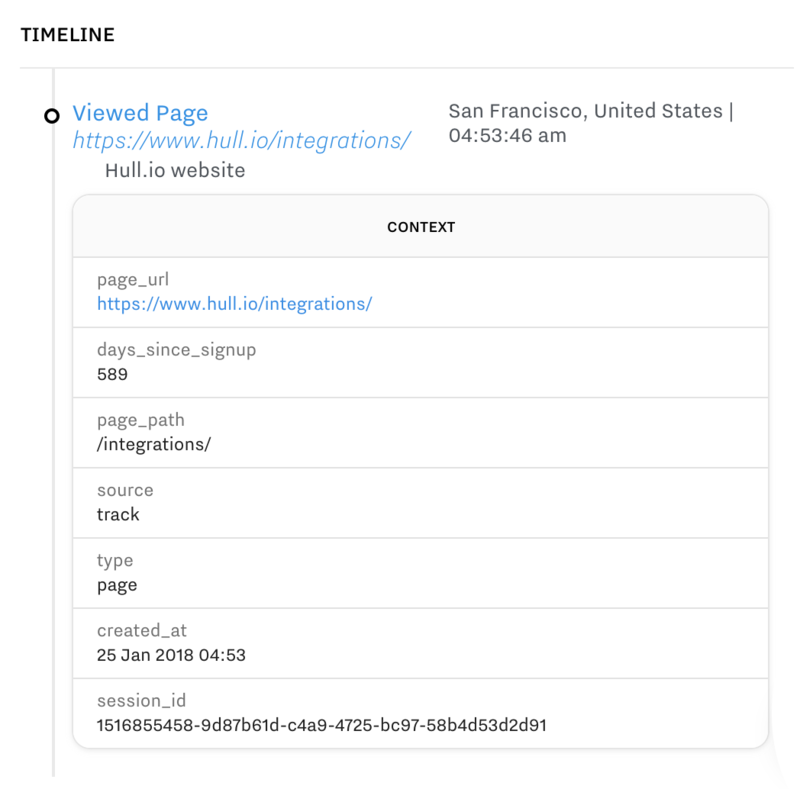 You can track Events on your website or in your product using Hull.js. You can also create new Events in Processor and Scheduled API Calls by writing hull.track() calls. Warning: Hull Track calls can create billable infinite loops in your Hull Organization. See our guide to best practices and pitfalls with Hull Track. You can also bulk import many User and their User Events at once via API. User Events can be forwarded to tools through Connectors by whitelisting them. User Events are displayed in the right hand column in User Profiles, as a timeline. Each Events’ properties and context that can be viewed on click. Event retention depends on your billing plan. Events will be deleted from your Hull Organization after your period.